Earlier this year Veranda O, a biopesticide, was labeled for commercial greenhouse use for food crops. Recently, there have been some updates to the label and the product’s efficacy which we want to share with you. Thielaviopsis (Black Root Rot) is now included as a pathogen controlled by Veranda O. 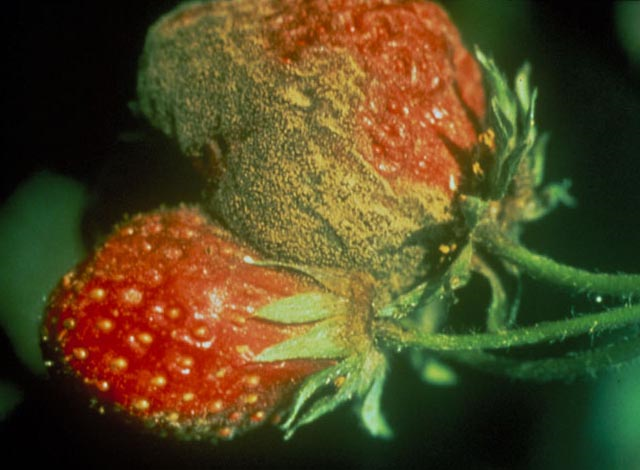 NOTE: Downy mildew control is minimal to ineffective (Straight from OHP). We at Hort Americas continue to be amazed at what opportunities LEDs may allow for. We know and understand that it is still early in product development, but we also believe it is the way of the future. We continue to be excited about our relationship with Philips and the opportunity to sell and market their Green Power LEDs (including the Philips Green Power Research Module, Green Power Production Module and the Green Power Flowering Lamp. Check out this video from 2008. Even back then researchers were starting to see the possibilities…and trust us, these concepts are already working in parts of the world today! At Hort Americas we continue to add to our plant care product lineup. Therefore, we thought it would benefit our customers to have a reference chart or “cheat sheet”. Please click, download, and/or print this chart for your use. Contact us with any questions or comments. Hort Americas realizes that Urban Farms, Commercial Hydroponic Greenhouses and Vertical Farms come in a wide variety of sizes. But, we also realize that most greenhouses have very similar problems when it comes to managing insects and diseases. Veranda O, Floramite, Pylon, Attain TR, Pyganic, Evergreen, Pygnaic, RootShield, Actinovate, Actino-Iron. Again, many of these products are labeled for use on Veggies, many are Organic, but many are not so carefully read the approved label. Hort Americas is also working with non-traditional pest management products like UV Light. Check out the video below. Potential contamination of surface and ground water sources from greenhouse runoff poses a challenge to our industry. Tighter environmental restrictions, regulations, bruised reputations, and of course damage to our environment are all very real results of runoff. Growers recognize the importance of conserving water and reducing runoff. It has been estimated that on a per area basis greenhouse vegetable growers that recirculated their irrigation water used half the amount of water compared to non-recirculated operations. Ornamental operations that did not recirculate their irrigation water used eight times the amount of water compared to their recirculated counterparts. These estimates are both crop and geographically dependent. The values listed were the result of a study conducted in Canada. The inescapable fact remains that growers heavily rely on the use of fertilizers and water to produce high quality crops. Most growers would agree that if they can reuse their irrigation water and therefore maximize their fertilizer investment while also helping our environment the better it is for their company and everyone else. The challenge of recycling irrigation water is the increased risk of transmitting waterborne plant pathogens. Untreated recirculated water is a looming disaster. Furthermore, regardless of whether an operation recirculates its irrigation water they will experience biofilm if left untreated. Biofilm is just that, a thin film of biological material e.g. bacteria, algae, and other potentially harmful and destructive micro-organisms that form on and coat numerous surfaces and can clog emitters. It is common for growers to use chemical dosing to remove biofilm and pesticide applications to treat plants for diseases. There is another solution. Water treatment technologies make it easier and safer for growers to conserve water and protect their crops. One technology available to growers is ozone. Ozone has been around a very long time, occurs naturally, and is a strong sanitizing agent. That smell in the air we so commonly encounter after a rainstorm: ozone. The word ozone stems from the Greek verb “ozein” meaning “to smell”. Ozone is made from oxygen. Elemental oxygen (O2) exists as two atoms of oxygen. Ozone is the triatomic and unstable allotropic form of the gaseous oxygen. When the bonds of O2 are broken either by UV rays from the sun or the energy from lightning, single oxygen atoms form. A portion of these split atoms recombine with O2 molecules to form O3. Ozone works to control algae and pathogens in irrigation water by oxidizing elements of cell walls before penetrating and oxidizing enzymes, proteins, DNA, RNA, and cell membranes. Ozone has a short residual time in irrigation water yet it is strong enough to remove biofilm. To produce ozone mechanically, oxygen from the air is converted by using an ozone generator. The ozone generator uses electrical energy to cause O2 to break apart and reform as ozone. The resulting ozone is then dissolved in water. Ozone is often coupled with other technologies which increase its efficacy. Pre-filtration provides an aid to ozone by removing larger organic particle debris. The lower the organic load the more likely the ozone molecules will eliminate remaining algae and pathogens. The required dose of ozone for any sanitation system depends on the intended application. Destroying biofilm can be done with dissolved ozone residual levels of 0.2 parts per million for as little as 30 minutes. Algae can be controlled with dissolved ozone residual levels of 0.01 to 0.05 ppm. Ozone phytotoxicity can occur if residual levels of aqueous ozone exceed 1 ppm. Therefore, high levels should be avoided. Gaseous ozone levels as low as 0.075 ppm can reduce plant growth. Inline monitoring of ozone is possible. However, inline monitors are costly ($1,500 to $4,000) and require yearly maintenance cost of approximately $200. Inline monitors can always be added to a system. Most growers will elect to purchase a sample colorimetric kit. Ozone is an oxidizer, so it can also be measured using an oxidation-reduction potential meter. 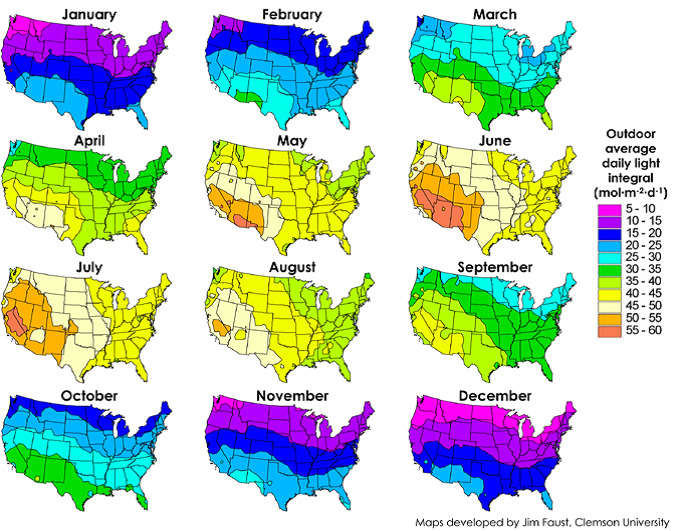 Growers need to recognize that installing an ozone system is a long-term investment. Ozone sanitation systems are capital intensive. However, the long term savings on labor and chemical dosing plus environmental friendliness make ozone sanitation an attractive alternative. One company that understands irrigation sanitation is Pure O Tech, Inc. Pure O Tech’s BES-300 (Fig. 1), which stands for Biofilm Elimination System, supplies a concentration of ozone of up to 35 grams per hour and has an operating flow of up to 300 gpm. The provision of ozone via the BES-300 eliminates and maintains microbial growth that clogs irrigation lines and emitters all the while increasing oxygen levels in the root zone. The BES-300 offers drop-in installation, convenient service, and replacement parts. With the BES-300, operations will experience reduced labor and hazardous chemicals are eliminated. The result is cleaner irrigation tubing, increased production, and higher quality crops. The BES-300 uses variable ozone injection rate to match the irrigation flow. Pure O Tech’s design incorporates degassing and metering ozone in the irrigation lines. 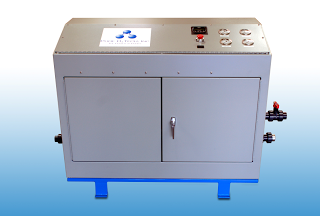 Pure O Tech’s knowledge of mixing ozone and water utilizing an ozone generator makes them unique and worth consideration. For more information on ozone sanitation and Pure O Tech products please contact customerservice@hortamericas.com or call (469) 532-2383. Figure 1. Pure O Tech BES-300. Eliminates Biofilm from irrigation tubing. LEDs are gaining more and more popularity in the Netherlands. From hydroponic production of tomatoes to young plant production to production of flowerin plants like kolanchoes. If you speak Dutch you will really like the below video and growing flowering crops under LEDs in a multlayering style (vertical farming) and if you do not we think you should watch anyway and call us for help in translating. Enjoy. Check out this excellent video of Hydroponic Lettuce Production. This system is called MGS and is from a European company (and vendor partner of Hort Americas) call HortiPlan. Please contact Hort Americas directly if you have any questions at infohortamericas@gmail.com. Introduction: The Light Emitting Diode, commonly referred to as the LED, is probably something you have heard or read about by now. LEDs can be found in everything from automobile head lights and tail lights, traffic lights, handheld flashlights and so on. LEDs are even being tested as a wireless LAN alternative. Simply put, LEDs are showing up everywhere. An LED is more like that of a computer chip than a light “bulb”. That’s because it is a solid-state semiconductor device. In 2008, LEDs occupied 7% of global lighting market share. In 2010, 20% of the global lighting market share was with LEDs. By 2020, LEDs are estimated to occupy 75% of global lighting. Although LEDs may seem to be a relatively new light source they were actually invented in the 1920’s. However, a visible light (380 nm to 780 nm, Fig. 1) version was not developed until the early 1960’s. That first visible light version was red in color and additional wavelengths (green, yellow, and orange) were developed through the 1970’s. In 1993, the first blue LED was developed. With the addition of a phosphor coating to the blue LED, the white LED was created. The color of light emitted by any LED is determined by the type of semiconductor material and the impurities used to form the LED. Although safe, caution should be used when using UV-B and UV-C LEDs. At sufficient levels UV-B and UV-C wavelengths can be dangerous to the human eye and skin. Additionally, some LEDs are bright enough to cause eye damage and should not be looked at directly. LEDs offer many positive characteristics over traditional lighting sources. Advantages/Challenges: The two most commonly discussed advantages to using LEDs are efficiency and lifetime. LEDs are more efficient (output divided input) than incandescent and fluorescent lamps and are essentially equivalent to high-intensity discharge (HID) lamps. White LEDS are less efficient because the phosphor coating must interact with the base color (usually blue) to create white light. There exists potential for significant cost savings of LEDs over other current horticultural lamps. Unlike traditional lamps, LEDS generally do not “burn out”. The metric used is the LED’s “lifetime” which is the time (in hours) required for the light output to drop below a percentage of the original maximum intensity under optimal operating conditions. Generally speaking, growers will replace their lamps when the light output drops below 90%. Therefore, a grower can expect a lifetime of approximately 25,000 hours at 90%. The long operational life of LEDs nearly eliminates the procurement and disposal costs for replacement bulbs. Associated labor cost would also decrease. LEDs emit little or no radiant heat. However, there is a loss of heat from the diode junction. 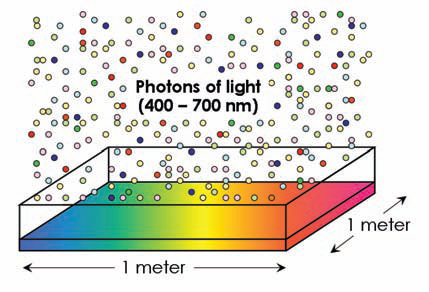 The thermal output can be significant when LEDs are used in high-densities. LEDs also offer the advantage of turning on instantly and do not require warm-up time. They also turn off instantly. One subtle, yet important, advantage to LEDs is that they do not contain hazardous materials unlike fluorescent lamps which contain mercury and require special disposal. LEDs also do not produce damaging ultraviolet wavelengths, (unless using UV LEDs), as do HID lamps if the protective envelop breaks. Due to their size, LEDs offer flexibility in fixture design. The primary difficulty which has prevented mass LED installations for greenhouse lighting has been cost. Although the initial cost may be higher than other supplemental light sources, the ROI is much shorter due to energy efficiency and life span. Secondly, the cost of LEDs is constantly decreasing and companies like Philips Lighting and others are offering affordable LED technology. The primary technical obstacle to using LEDs for horticulture lighting is the low light output of some current LEDs wavebands of interest to horticulturists. 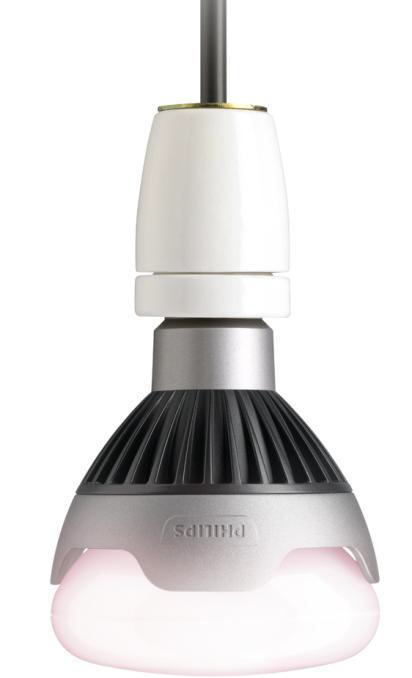 Although an LED replacement to today’s HID lamp does not exist, sources estimate that one will be available in 3 to 5 years. Nevertheless, LED modules of desirable wavebands exist and are currently being used for multilayer production and intracanopy lighting (Fig. 2 and 3, respectively). Other LED lamps being produced have a standard E27 fitting, which allows for direct replacement in existing installations. No additional modifications are required (Fig. 4). Horticulture Applications: The ability to control spectral quality is of interest for crop production and is not easily achieved with broad-spectrum light sources. LEDs produce narrow-spectrum wavelengths they have been manufactured in highly plant-absorbed colors. Spectra can be customized and even modified to match the crop needs and control the photoperiod or growth cycle. Therefore, LEDs require a systematic approach which is dependent on the crop being grown and the goals of the grower. Since growers are using highly plant-absorbed colors, LEDs should produce much less wasted light and energy versus using non-productive wavelengths. Recall that LEDs emit very little if any radiant heat which allows them to be operated close to the canopy. This also increases the light intercepted by the plant further improving the use efficiency. The capability of using LEDs closer to the plant canopy provides options such as multilayer production of many crops including tissue culture. Multilayer production using other light sources is possible. However, more shelves per unit volume are possible with LEDs. For example, one grower decreased their light energy consumption by more than 50% and increased their multilayer production by 33% without additional production volume simply by switching to LEDs. Summary: LEDs possess several characteristics that make them an attractive greenhouse supplemental light source. Control over the spectral composition is possible with LEDs. They provide high light output with low radiant heat. Their small size offers flexibility in design and placement. Last, but not least, they are exceptionally long lasting and are more energy efficient than other supplemental light sources. The outlook for solid-state lighting technology is bright (pun intended). 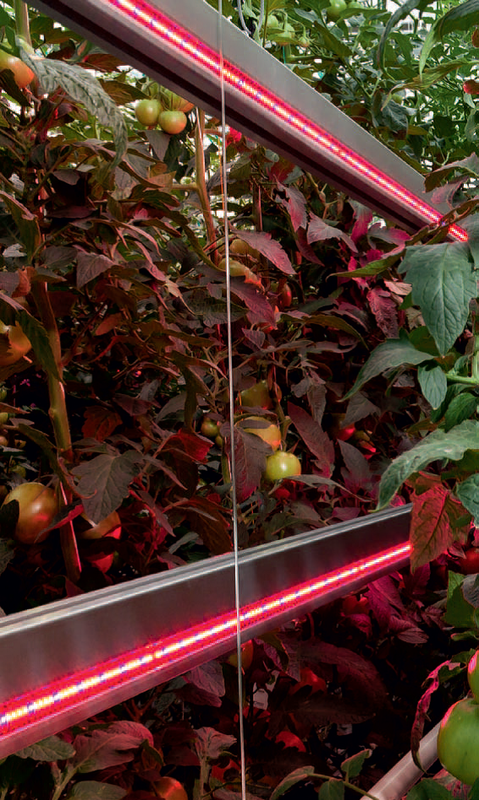 LEDs are a prime candidate for use in controlled environment agriculture. They are another tool available to extend production seasons, increase yield, and improve quality. One final mention is the light output unit of measurement. You will not report in footcandles with LEDs. Their output is reported in micromoles per square meter second (µmol·m-2·s-1). We will cover horticultural lighting basics in an upcoming newsletter article, so stay tuned. In the meantime, if you have additional questions regarding LED lighting please contact Hort Americas, LLC. We appreciate your interest and look forward to working with you soon. Make it a Great Day! Figure 1. 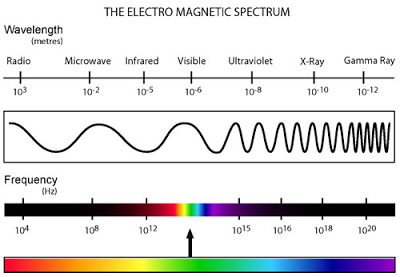 The Electro Magnetic Spectrum. Visible light is considered to be between 380 nm to 780 nm. Figure 2. Image of LED modules being used in multilayer production. Photo courtesy of Philips Lighting (www.philips.com/horti). Figure 3. Interlighting module being used in high-wire greenhouse tomato production. Photo courtesy of Philips Lighting (www.philips.com/horti). Figure 4. . Philips GreenPower LED flowering lamp. Photo courtesy of Philips Lighting (www.philips.com/horti).